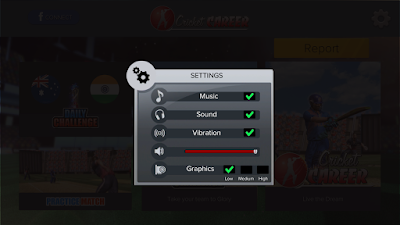 Cricket Career 2018 24 mega update is here. 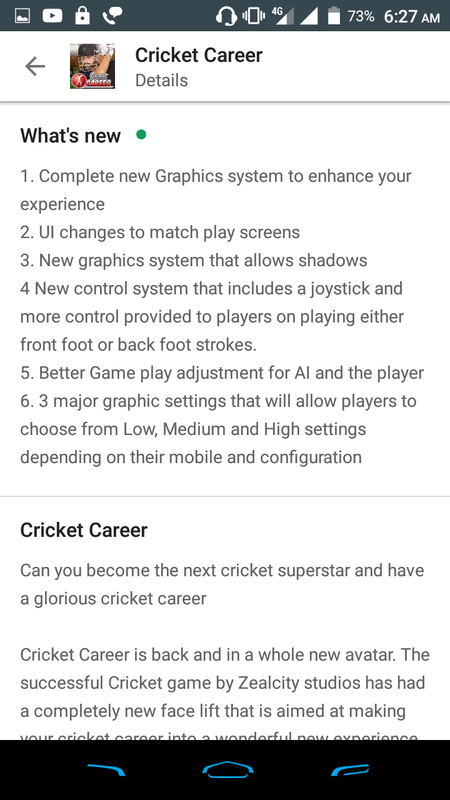 You can update it now and play your own cricket career dream. 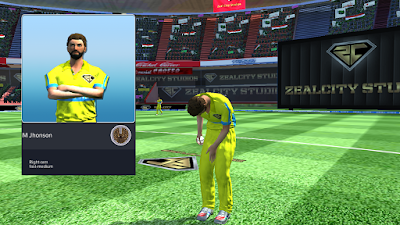 Finally, Cricket Career 2018 bring us to game first update wait it is a second. 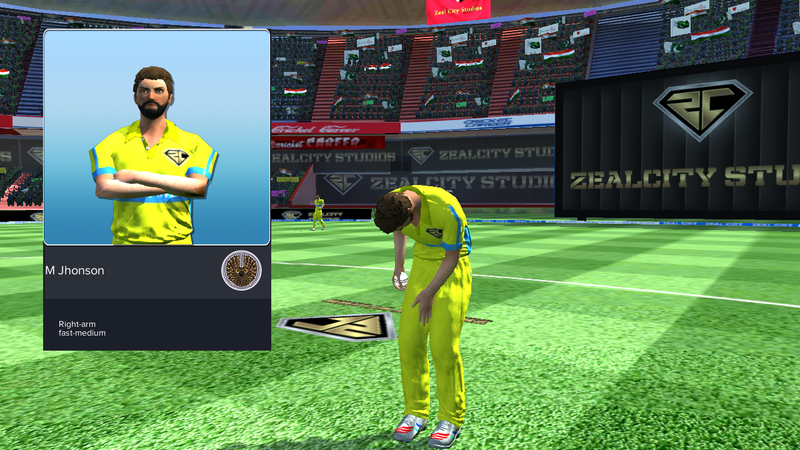 We all know Cricket Career launched for us on the beta version. It's launched a minimum 2 months ago. But they bring us first update on 23rd Jan 2019. But that update it's not working for us. When we open the game only black screen is appear. But they update the game again 24th Jan 2019. And now it's playable. If you don't know about Cricket Career game then I will you. 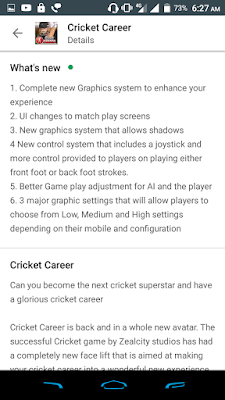 Cricket Career is a brand new cricket game for Android. It's a career mode based game. 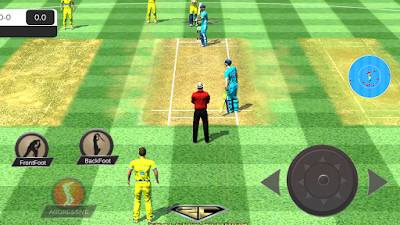 You can full fill your cricket dreams in this game by playing. 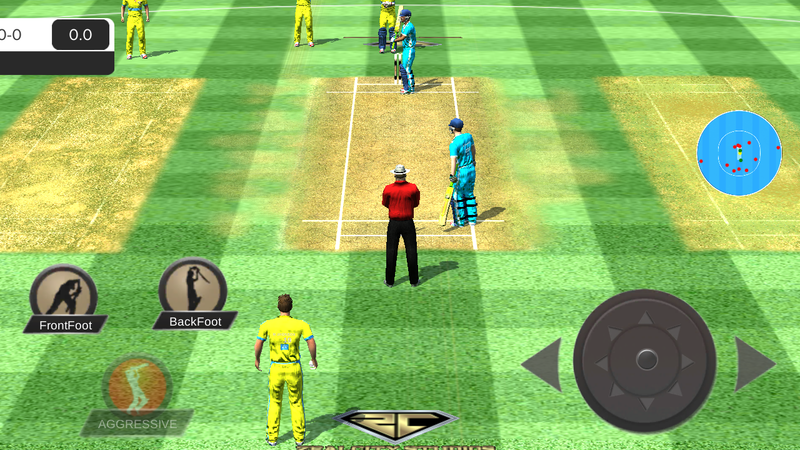 If you play the previous version of Cricket Career game then you already know that many bugs and irritating features are there for us in this game. Especially I play this game only 3 days after the game launched because of the control of this game and its graphics. But in this update, they update both the features in this game. After the update, you all are noticing that the screen very bright for and game graphics system changed for us and you will the see the shadow of every player. The game changed his UI system. Now you can see the different player graph before batting and bowling. This is a very important part of the game. I already said this game control is very poor. But after this update, we will get a brand new control system with the joystick. But in my opinion, it still not working for us. The Zealcity also update his gameplay. But still, we faced some bugs in this game. Now you can change the graphics of this game into Low, Medium and High according to your Android device. Overall this update is not that great update for us because there are many bugs is still present in this game. 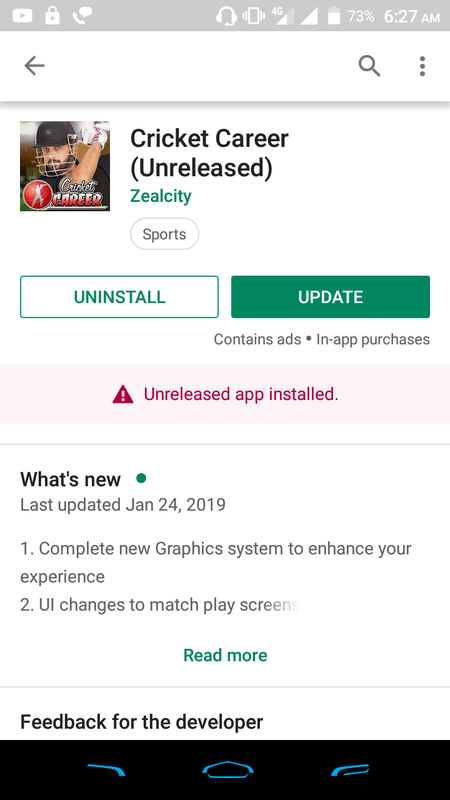 Hope, Zealcity the developer of this game fix those bugs quickly in future. Thanks For Reading If You Have Any Question Then Let Us Know In The Comment Box And Share This Article With Your Friends.